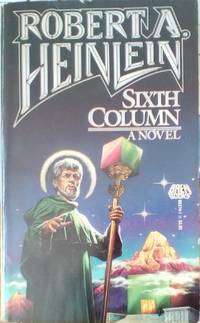 Baen Books, 1988. Mass Market Paperback. Good. Disclaimer:A copy that has been read, but remains in clean condition. All pages are intact, and the cover is intact. The spine may show signs of wear. Pages can include limited notes and highlighting, and the copy can include previous owner inscriptions. At ThriftBooks, our motto is: Read More, Spend Less.Dust jacket quality is not guaranteed. New York: BAEN, 1988. Paperback . 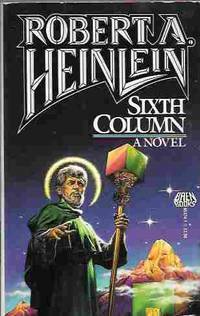 Standard Paperback. Good/Fair. Originally published in 1941, inspired by the growing world war and thoughts of the aftermath. In great shape, just a few minor signs of wear, plus a little price sticker residue on the back cover. Baen, 1988-01-02. Mass Market Paperback. Good. Baen. Used - Good. Shows some signs of wear, and may have some markings on the inside. Baen, 1988-01-02. Mass Market Paperback. Very Good. Baen, 1988. Mass Market Paperback. Good. Paperback. Sound & good copy, light to moderate rubbing/edgewear to wraps, lean to binding, sunning at spine, thumbing wear. Baen, 1988. Mass Market Paperback. Good. Paperback. Sound & good copy, light to moderate rubbing/edgewear to wraps, lean to binding, sunning at spine, thumbing wear, tape at base of spine. Baen Books, 1949. A very good plus paperback. Some reading creases.. Paperback. Very Good Plus. Baen. Used - Very Good. Mass Market pb. Near Fine condition -- no spine creasing -- appears unread; edges, corners, and covers of book show very minor wear. No underlining; no highlighting; no internal markings. No pricing stickers. No remainder mark. Stored in sealed plastic protection. In the event of a problem we guarantee full refund. 1988. Mass Market pb. 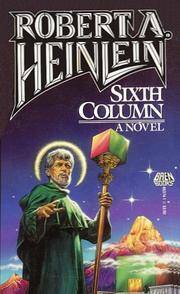 New York: Baen Books, 1988. 248 pgs. Art Cover; Unread condition vintage paperback. Mass Market Paperback. Very Good. Baen. Used - Good. Good condition. New York: Baen Books. Very Good-. 1988. 27th Edition; 1st Baen Printing. Mass Market paperback. 0671653741 . Bottom corners chipped, a little edge wear. A little tanning but text is clean and unmarked. A nice copy. ; 6¾" - 7¾" Tall; 248 pages; " Can six men save America from four hundred million future invaders? "Don't miss this thrilling science fiction story of six men, armed with only two weapons to save their country from annihilation. One, a radically new scientific discovery - the Ledbetter Effect - an atomic energy which can be controlled. The other - the determination of clever and intelligent Americans. "This is one of Robert A. Heinlein's most incredible stories of tomorrow, the adventures of a handful of soldiers of the future, fighting to save America from a deadly invasion. " . Baen, 1988-01-02. First Edition. Paperback. Good.